Stir salt, paprika, cardamom, coriander, and black pepper together in a bowl. Add melted oil and maple syrup and stir until evenly combined. Preheat a non-stick frying pan over medium-high heat, about 350 degrees F (175 degrees C). Dredge salmon pieces through the maple syrup mixture until evenly coated on all sides. 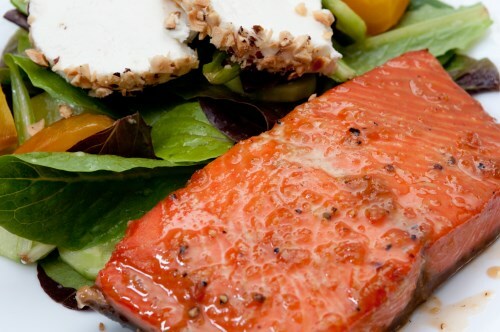 Cook salmon in the preheated pan until fish flakes easily with a fork, 5 to 7 minutes per side.